The adcom here is correct, admittance from the waitlist (with or without interview, generally they will ask to interview first though) can come at any point between now and the beginning of the term. There is no set structure to getting off the waitlist and I've had clients get off a waitlist a few days before the start of orientation. The key is to maintain semi-regular contact with admissions to let them know you are still interested and working to improve your candidacy during this time period. I would aim to re-take the GMAT as quickly as possible, giving yourself enough time to see some improvement (4-6 weeks if not sooner). 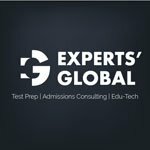 What is your current GMAT score if you don't mind me asking? One of my friends was on the waitlist at a top 5 school until the week school started. He had to quit his job and move in like 3 days in order to start school. When I visited Tuck the admissions director said that one person who was on the waitlist simply showed up the day classes were starting and told admissions “I’m here and want to be at Tuck”. Turns out a candidate from Singapore dropped out last minute and they got in. Basically - there is always a slot that opens up. Take the time you need to study hard and get a better score— that’s the most important thing. There is no definite timeline here and acceptance (if it does come) could come at any point before school starts. At your end, you only need to attempt to improve your profile and keep the school updated with regard to the same. Try and take the GMAT as soon as possible; of course, only when you feel you have a decent chance at improving your score.